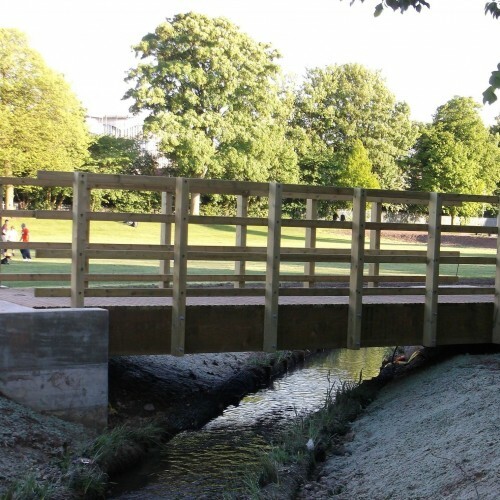 The most economic solution by far to bridging a small stream for occasional pedestrian use is a small self assembly kit bridge. 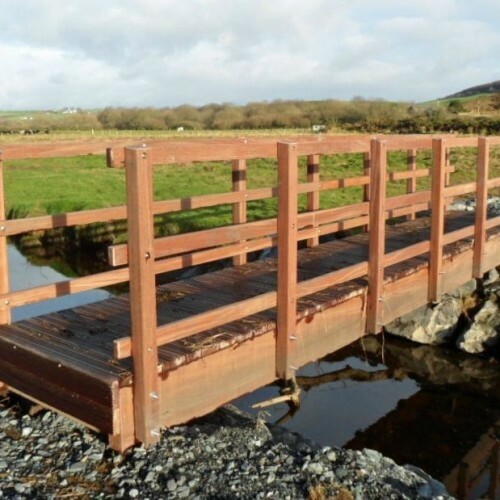 These cunningly designed units are supplied in a "flat pack" with detailed assembly instructions and a drawing. 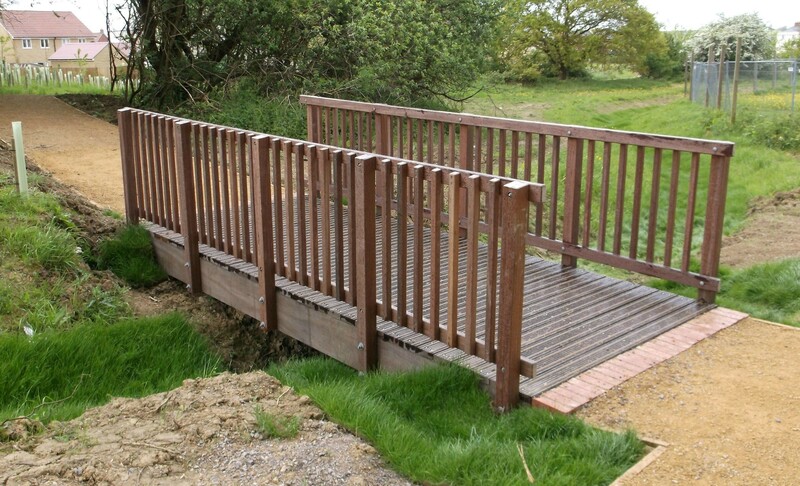 The wood is chemically treated to give a life in excess of 30 years. 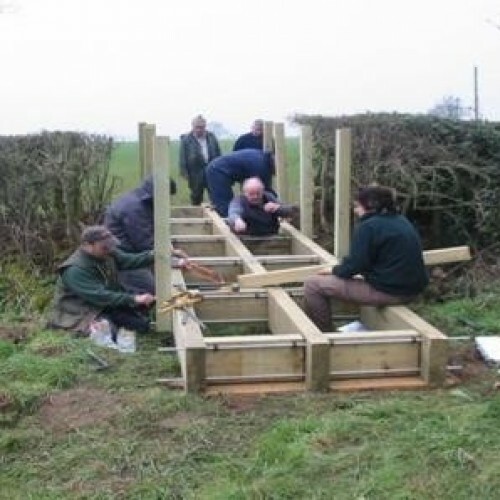 The holes are predrilled and assembly is straight forward. 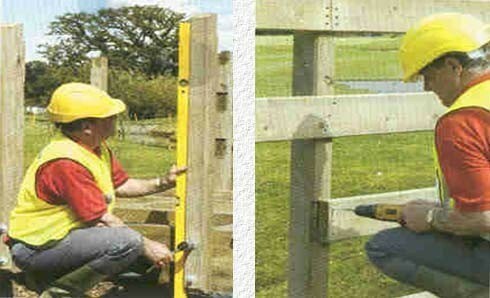 Only simple hand tools are required. 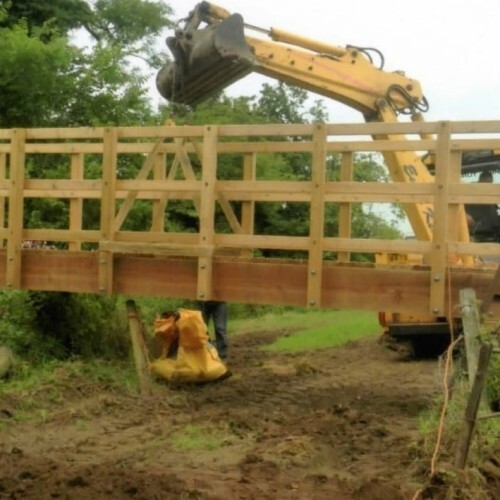 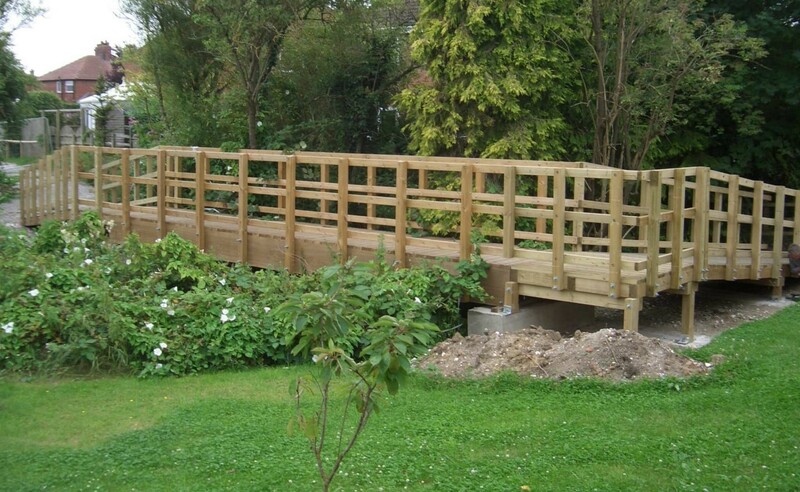 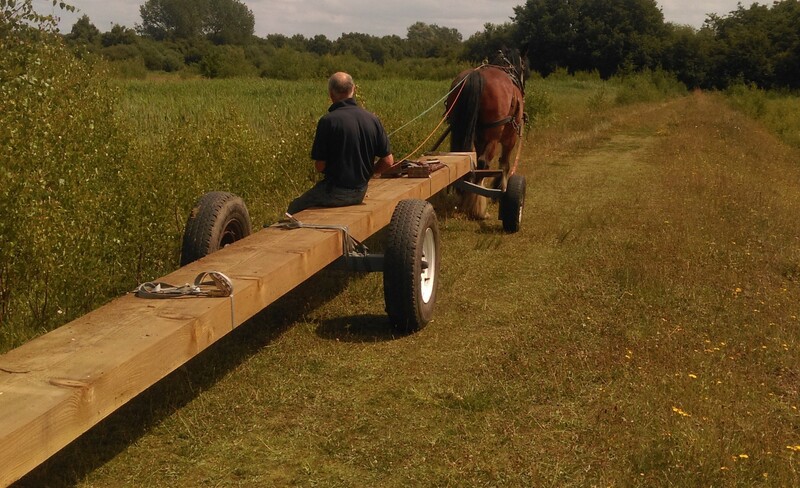 If clients prefer we can deliver the bridge assembled for immediate installation. 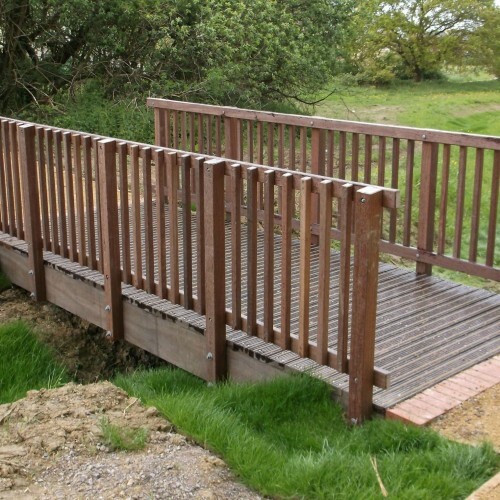 Our most popular, and cheapest, kits are made from European Redwood (known in the UK as Scots Pine) and Douglas Fir from Forestry Stewardship Council® certified woodland. 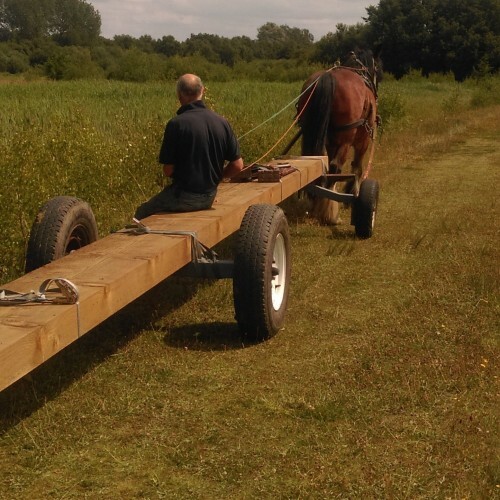 Kits can also be supplied in Green Oak. 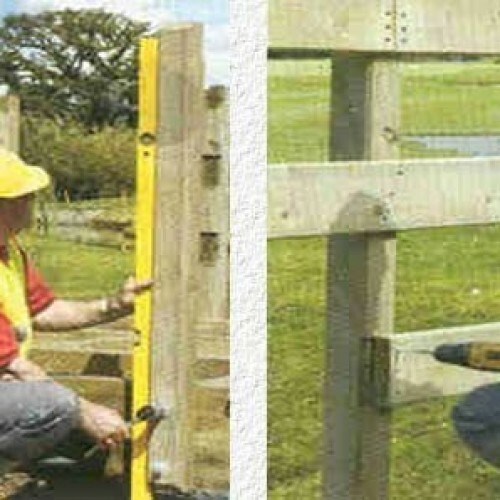 The kits are available in standard widths from 450mm to 3m and in a range of lengths increasing in small increments. 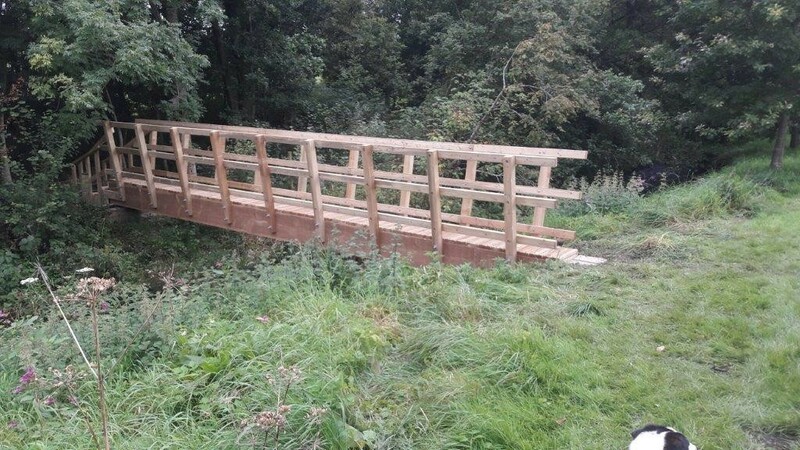 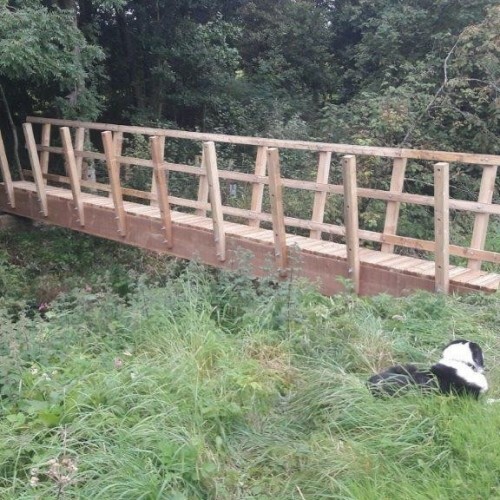 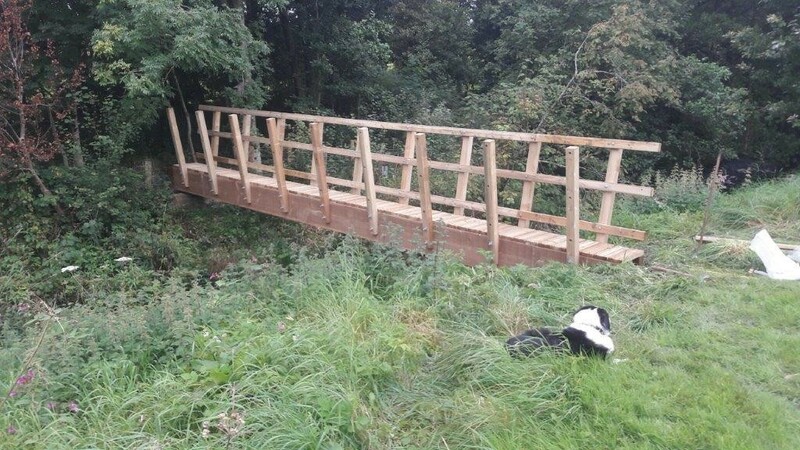 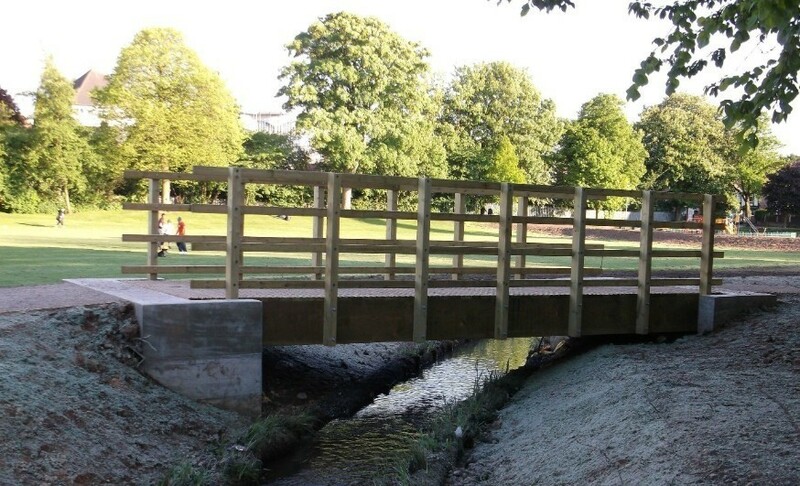 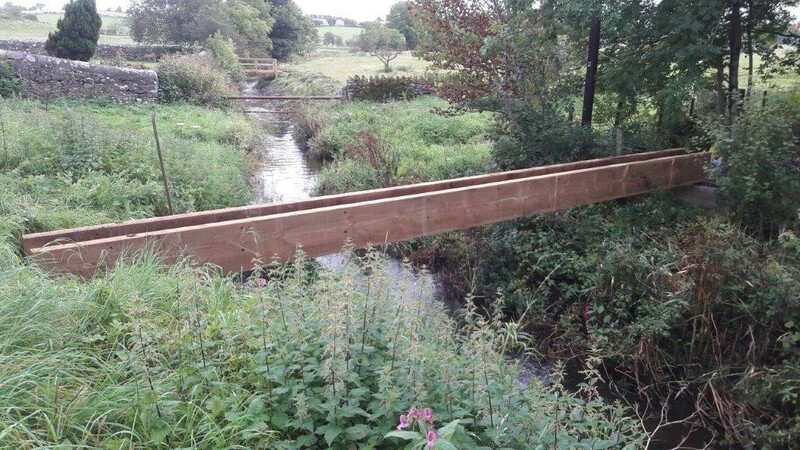 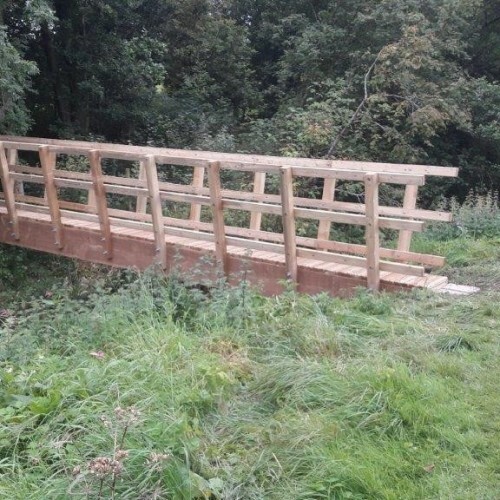 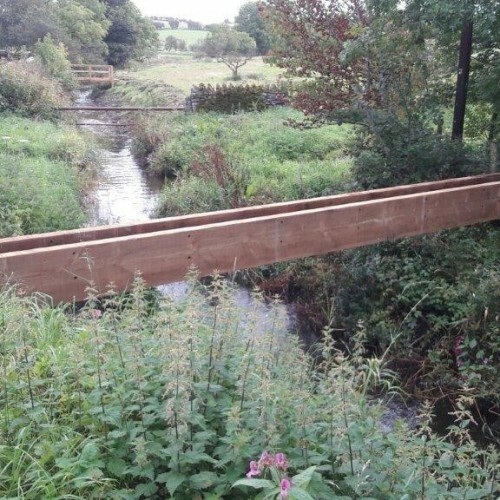 We can also supply kit bridges with steel beams so that much greater spans can be bridged and can also be supplied curved for a more attractive appearance. 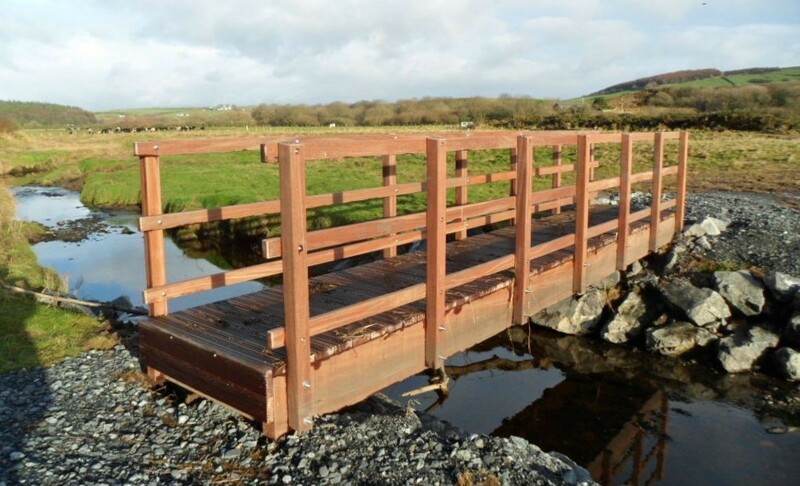 We have seen too many rotted laminated beams to consider offering these to our clients. 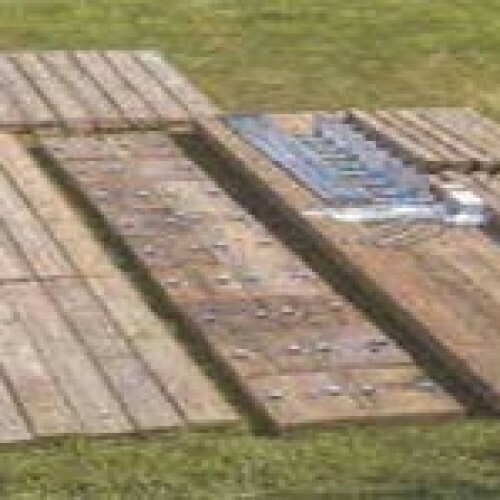 The decks are supplied with our grooved Ron-Grip Pattern and two anti-slip inserts as standard, but can also be supplied without the anti-slip if required. 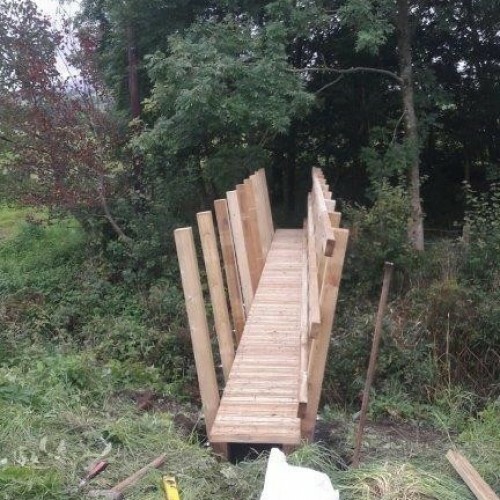 There is no better way of team-building than bridge building. 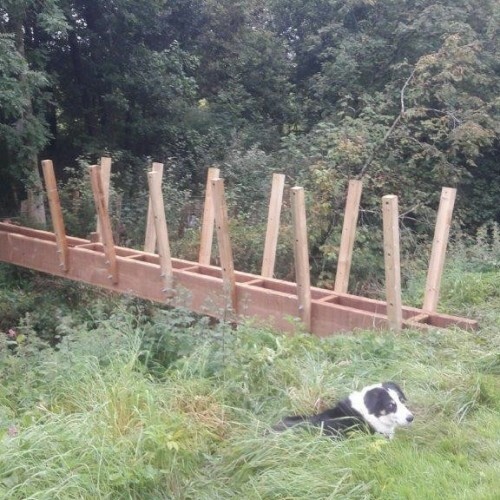 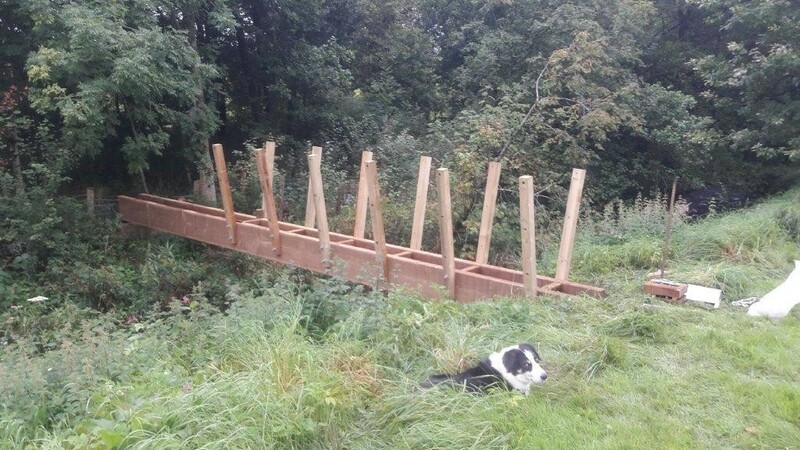 The sense of satisfaction and ownership generated when a local group erect a bridge has to be experienced to be believed. 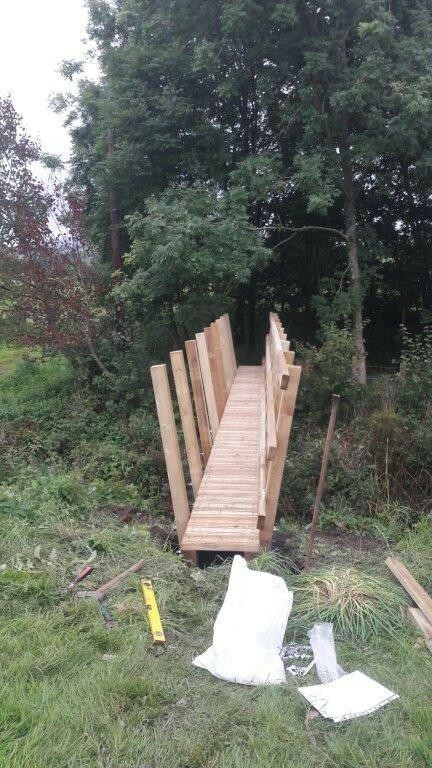 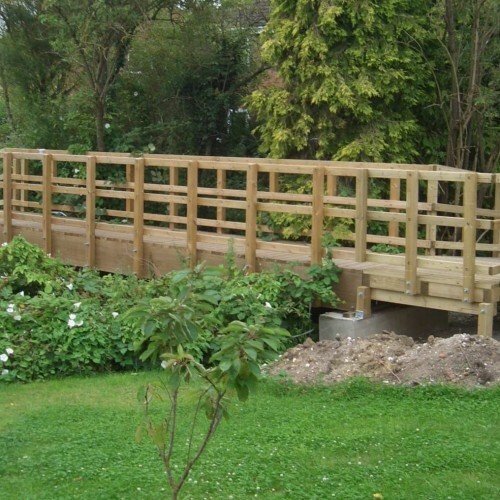 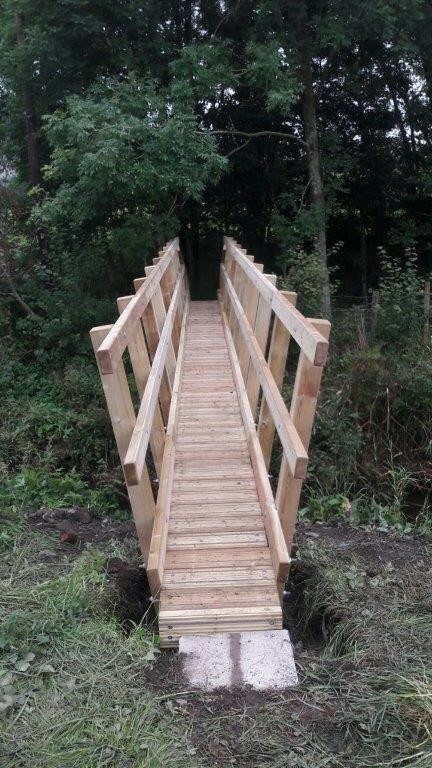 Another alternative is to arrange for one of our friendly, responsive professional teams to install the bridge for you. 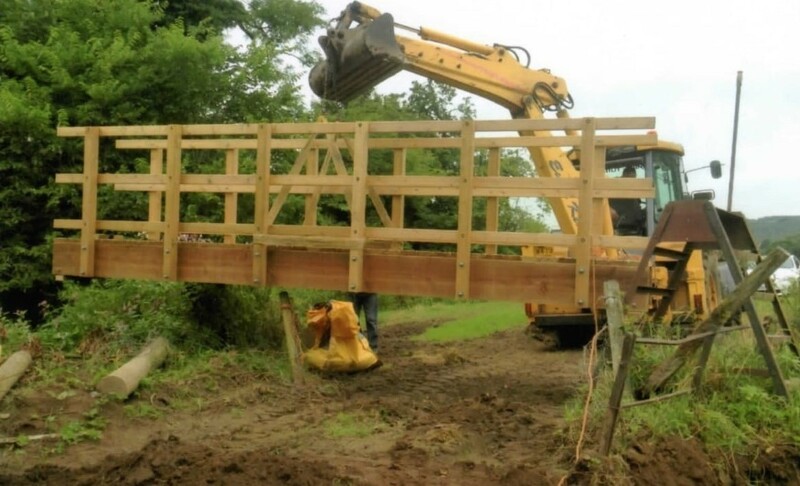 The kit bridge often allows bridge to be built in remote or inaccessible sites by carrying in the components. 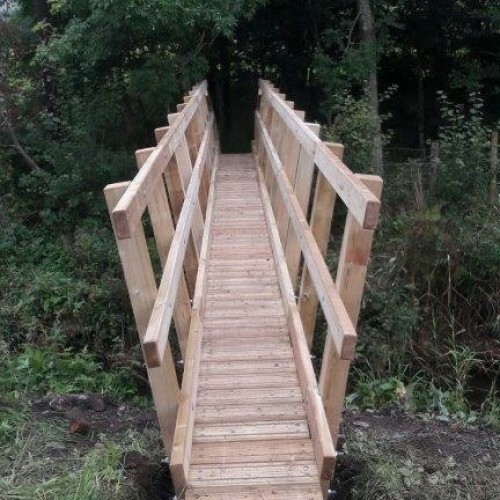 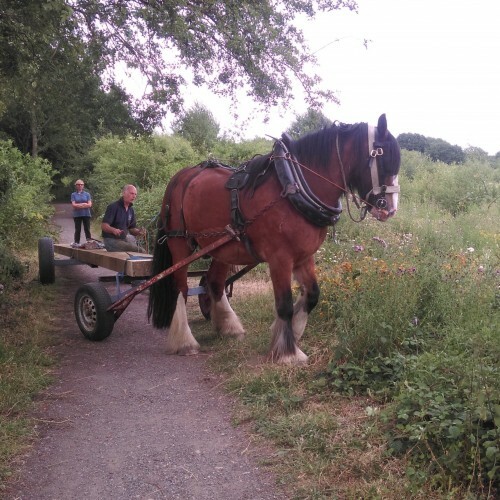 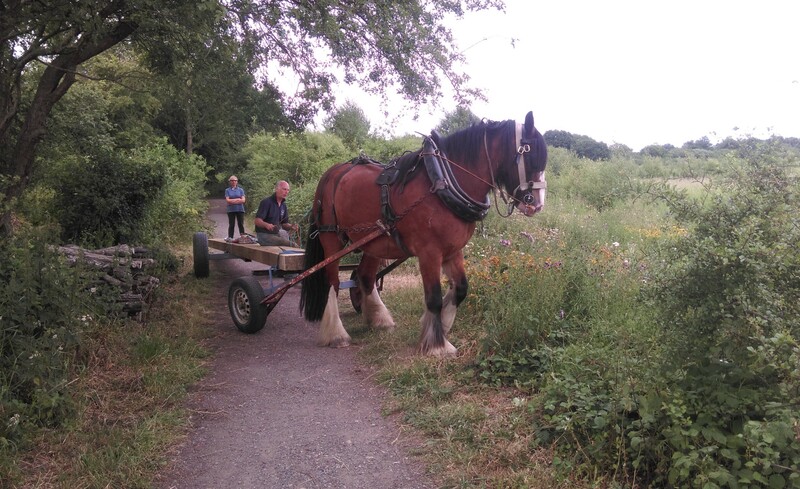 This approach has been widely used on community projects allowing children a degree of participation.